My second son is a police officer fanatic! For the last 3 years of his life police EVERYTHING is all that matter to him. He is only 6 and he has already mapped out his future of when to attend the police academy. So of course all he wants to give for valentines are police. He loves Chase McCain, the Lego Police Detective, so he helped design these valentines to give to his classmates. He will just write his name at the bottom, next to “Police Officer”, since he already considers himself a police officer. 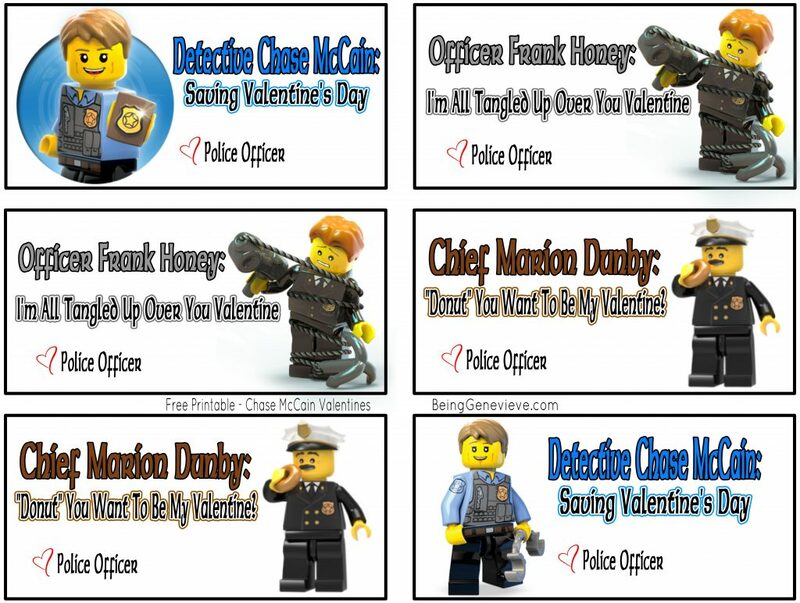 Just download the Lego Chase McCain Police Officer valentines below and Enjoy!